Now, I'm a child of the 80's, and I saw Pretty in Pink in the theater and again several times on VHS (yeah, I'm dated) and television, but for some reason, I didn't remember there was an alternate ending where Molly Ringwald's character actually chooses Ducky (played by Jon Cryer) over Andrew McCarthy's character. Huh, who knew? Apparently many. Maybe I should pay more attention. Still, it got me thinking. Audiences obviously preferred Andrew McCarthy as the chosen love-interest. Thus the ending showed in the theaters. After all, the character's handsome, rich, and through the movie, he grows as a person, right? Okay, reality-check. People don't usually change that much from the values they were taught growing up. These two characters are from very different worlds, and unfortunately, in real life, that usually creates a huge communication problem. I would go so far as to say, those internal values are as integral to our personalities as anything else. Uneven values create a level of conflict that many couples can't survive. It's so difficult to understand where someone is coming from if you don't agree they have their focus on the right things. Plus, let's be honest here. Ducky would have been a partner. He would have been sensitive and understanding. 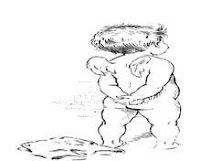 Sure, he's a beta male and we all favor the alphas, but the alphas have a tendency to be a little more focused on themselves. Take these famous alpha males, for instance: Tom Cruise, Arnold Schwarzenegger, Charlie Sheen, Christian Bale. They are intelligent, charming, attractive (they have their followings), and maybe this is a slightly skewed list. I'm sure there are some alpha males who are great guys, but that's usually because they have beta characteristics. Now, I'm not saying Andrew McCarthy's character would have turned into this. It's romantic fiction after all, and we all know they had a happily ever after. In real life though, I think Ducky was the better choice, and many a woman who has overlooked the nice guy for the jerk would probably agree. 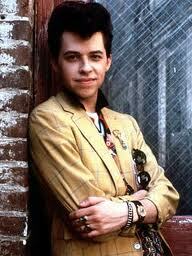 Though he wasn't perfect, Jon Cryer's character was the better male, in my opinion. Ducky might have been a pushover. But he might have also loved Molly Ringwald's character so much, he wanted nothing but her happiness, even if it meant seeing her with the wrong guy. That's the stuff that would have meant something to me. Just my two cents, but Ducky was the better choice. I love Duckie. There is a "Pretty in Pink: Everything's Duckie" DVD, but it doesn't share the original ending, but does have a commentary about it, I believe. Duckie was sweet and he was genuine, unlike Blane and I never understood WHY she ended up with the rich boy, who I didn't feel had changed nearly enough by the end to honestly love and respect her. Of course, having watched Pretty in Pink as it is so many times, I don't know if I could accept the Andie and Duckie pairing now. I've already come to accept the outcome (it would be as if they redid the end of Titanic and Jack didn't die. You can't undo the memories and you can't "unseen" it. I agree with you- alpha males are great but they have to have some traits of betas if it's ever to work out. I so loved Ducky! I had no idea there was another ending. That would have been a much better move to end up with Ducky I think!